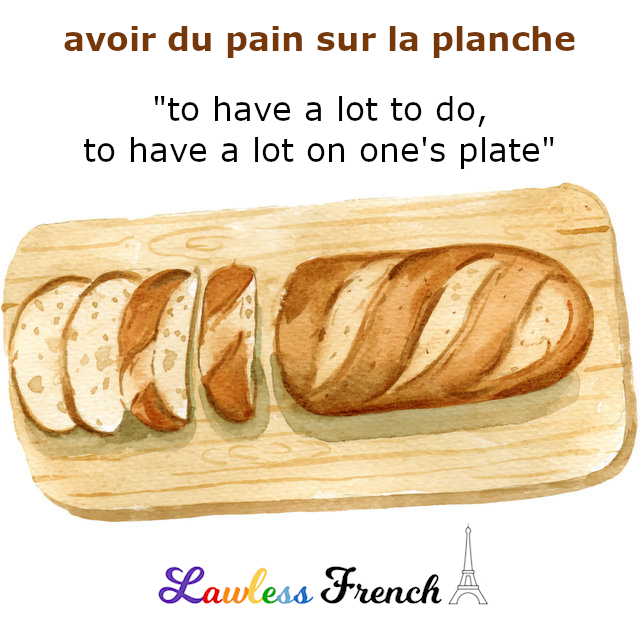 Usage notes: The informal French expression avoir du pain sur la planche is very similar to English’s “to have a lot on one’s plate." I find the equating of food to be eaten and work to be done very interesting, as one doesn’t normally think of eating as a chore, especially in France. Cooking maybe, but not eating. 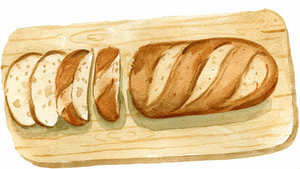 Je ne peux pas sortir ce soir ; j’ai du pain sur la planche. I can’t go out tonight; I have a lot (of work) to do. Profitez bien du weekend, lundi on va avoir du pain sur la planche. Enjoy the weekend, on Monday we’re going to have a lot of work to do.